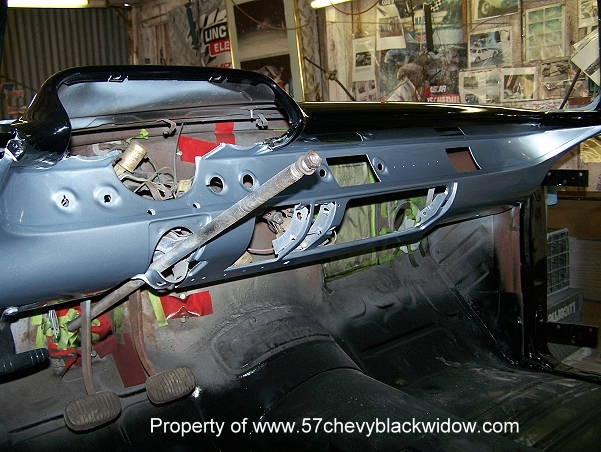 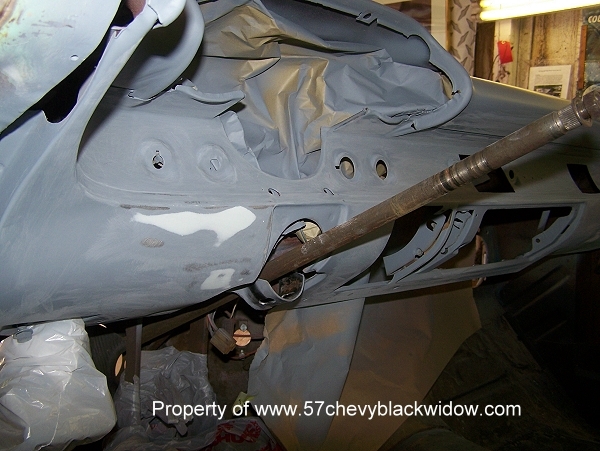 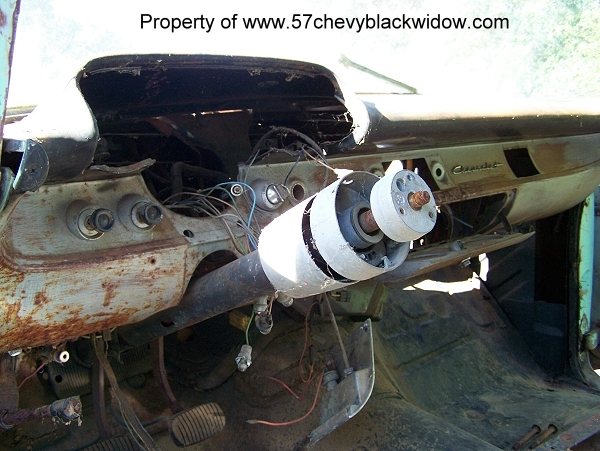 Photo #360 shows the dash with minor surface rust, holes and dents. 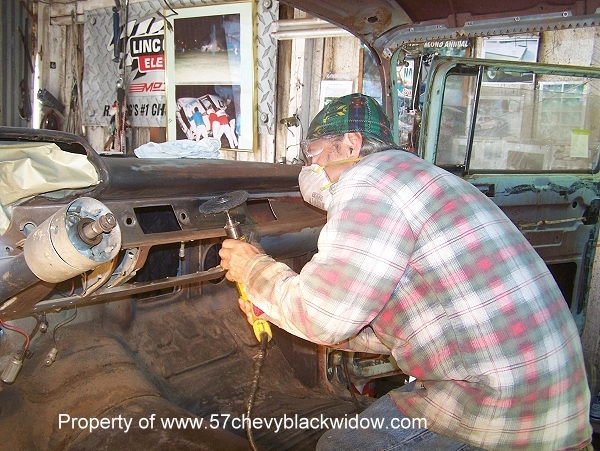 First "Old Guy Scott" cleans the dash to bare metal with a paint stripping disc, photos # 362 and 363. 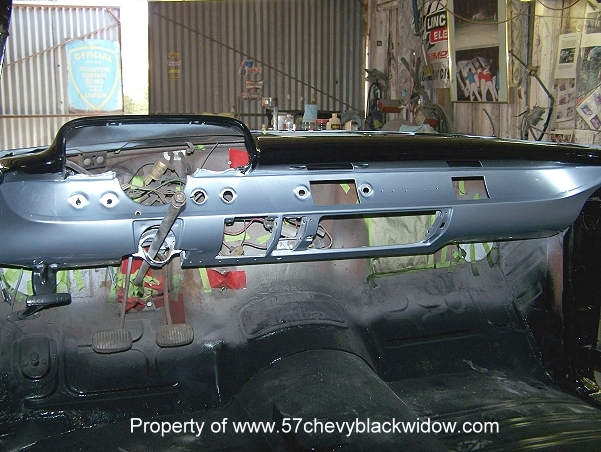 Next he welds up holes that were drilled over the years. 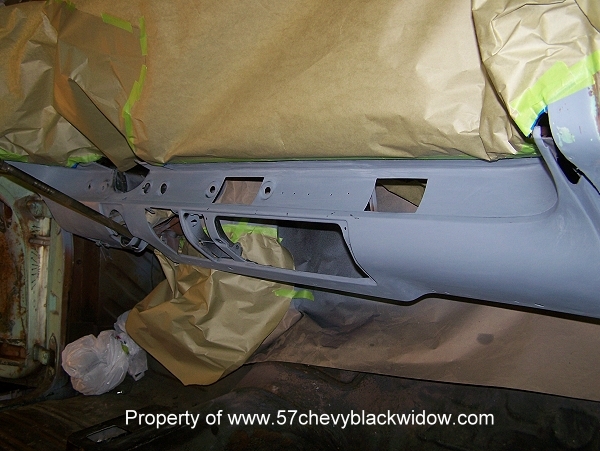 Photos 364 and #365 shows the dash in polyester primer and ready for paint. 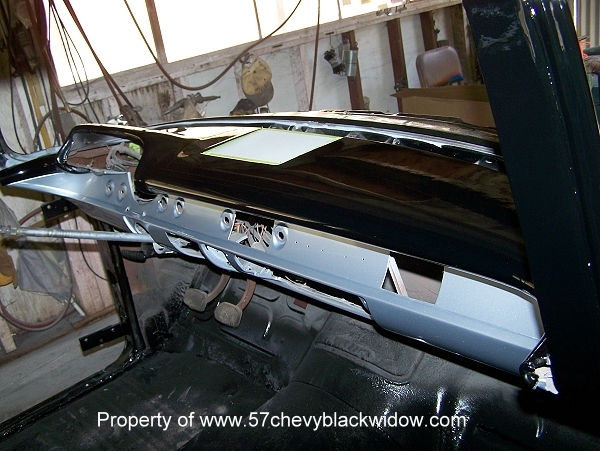 Photos #366 thru #368 shows final results finished in acrylic lacquer. 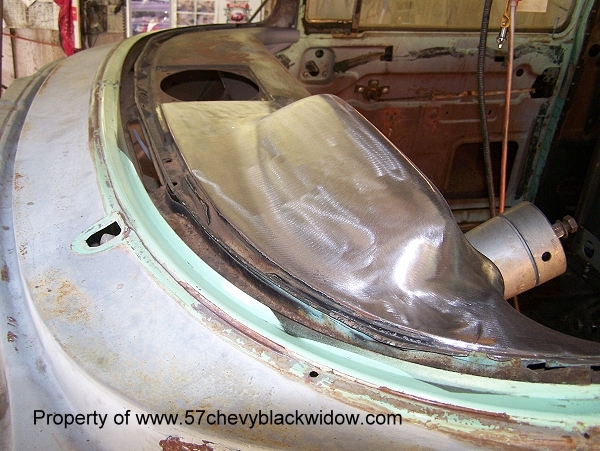 The instrument pod and delete plates were painted separately.